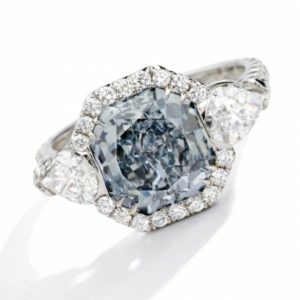 The Sotheby’s auction in New York on April 17, 2019 has been saved by none other than a Fancy Intense Blue Diamond. The 3.24 carat, Fancy Intense Blue Diamond with a VVS1 clarity and a type IIb letter has been valued between $2.5 million to $3 million total or $771k to $926k per carat. This diamond is the top lot for the auction that evening. An attractive Fancy Intense Green Diamond is also being offered. The 1.76 carat, Fancy Intense Green Diamond with an SI2 is valued between $120k to $180k or $68k to $102k per carat. This valuation is aligned with current market prices for such a diamond. A fantastic collector’s item is being offered, and it’s quite rare as well. It is a 2.21 carat, round brilliant, Fancy Brownish Reddish Orange Diamond. It has an I1 clarity, but it is a great collector’s item. It is estimated to sell between $100k to $150k or $45k to $68k per carat. We might see a surprise here. Sotheby’s next auction will be the one held in Geneva on May 14, 2019, which will mark the end of the auction house’s event for the first half of the year. 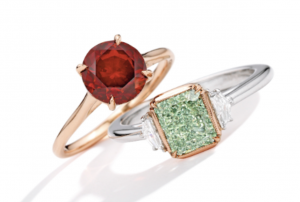 Hopefully the Geneva auction in May will be more exciting than this one (New York) for Fancy Color Diamonds.